Yesterday I came across the piece of film below here, which is reputed to be the first moving picture of Jerusalem, dated 1896 (the sound track was added much later). I'm interested in 19th century photos and first-hand travel accounts of the land because, as someone who takes B.Th. students to Israel to examine (among other things) how topography contributes to a better understanding of some Bible texts, urbanisation has made topographical studies difficult and such pictures can sometimes help us picture Jerusalem's topography more easily. The situation in the land prior to 1948 also gives valuable historical insight into the current conflict. The film shows Jewish people and Hebrew shop signs a year before the First Zionist Congress and only a few years after the start of the First Aliyah (return of diaspora Jews to their homeland). This is long before the Holocaust (often cited by Israel's opponents as the cause of Western guilt which allowed an influx of Jews to displace the Arab indigenous population - in fact the evidence suggests the opposite is true, that Britain, for example, turned away Jewish refugees from Mandate Palestine). Meanwhile, and what many people don't realise, is that there has been a continuous Jewish presence in the land since the Babylonian exile almost 600 years before the birth of Christ. 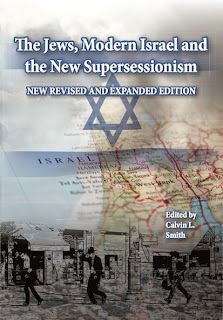 For anyone interested I commented several years ago on a very interesting book exploring the land before Zionism. It's well worth a read.